Properties in the UK are bought either as freehold or leasehold. Which you choose will make a significant difference to what you can do with your home. In England and Wales, most flats are usually sold leasehold. Houses, on the other hand, tend to be freehold, but it is worth checking and understanding the difference. If you buy a leasehold property, you own the building (or part of a building) for the length of the lease but not the land on which it is situated. Leases are quite long, running on average for 125 years. The land is owned by the freeholder and, once the lease runs out, the property reverts back to them. As a freehold home buyer, you will own both the land and the property. You will almost certainly need to get permission from the freeholder if you want to do anything major to your home like build an extension or loft conversion. Sometimes this even includes changing the landscaping. You will need to read and fully understand your contract. You will also be required to pay a ground rent to the freeholder on top of your existing mortgage. You may also need to pay fees for a management agent to handle the property, which is generally standard for flats and apartments. When considering a leasehold property, one of the first things you need to look at is the length of the lease. This can have a serious impact on how much you can sell the property for further down the line. New leases vary from 999 years for new built properties to 125 for right to buy homes. If there are only a certain number of years left on the lease, however, many mortgage companies will not offer financing. Most estate agents talk about the 80 year leasehold rule and will advise not to buy if the time remaining on the lease is under this. If the property lease is 80 years or under you may want to renegotiate an extension to the lease before you consider buying it and that can add additional costs to your purchase. In most cases, however, there is a legal right to extend the lease once you have been living in the property for a few years. This will cost you more money but does ensure it is a viable investment. With any leasehold, the price you pay for the property is not the only expense that has to be considered. Apart from the ground rent, there will be additional service charges. That is because, especially with flats and apartments, there are common areas that need to be maintained. This can add significant costs if, for instance major renovation is carried out. Additional costs also cover the services that are carried out to maintain the property such as cleaning common areas, landscaping or updated fire alarms. It’s always a good idea to make sure you know exactly what you are likely to be charged beforehand. This is usually a nominal fee of on average £100 that is paid to the landlord or freeholder each year and isn’t a major issue for most leasehold property owners. New properties have been subject to some scandal in recent years with developers introducing clauses into their leasehold agreements that could see ground rent doubling every ten years for some owners. It’s worth checking the small print before you decide to go ahead with your purchase, though it is worth pointing out that most properties don’t attract this kind of problem. 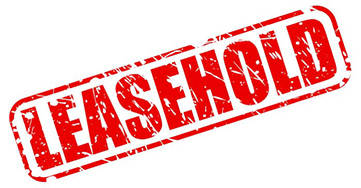 The chances are, if you are buying a flat or apartment, it’s going to be offered as a leasehold. It pays, therefore, to do your homework and find out what it is likely to cost you over and above the traditional mortgage. As with all property transactions, we strongly advise you seek independent legal advice.